New collection of Shariq Textiles. 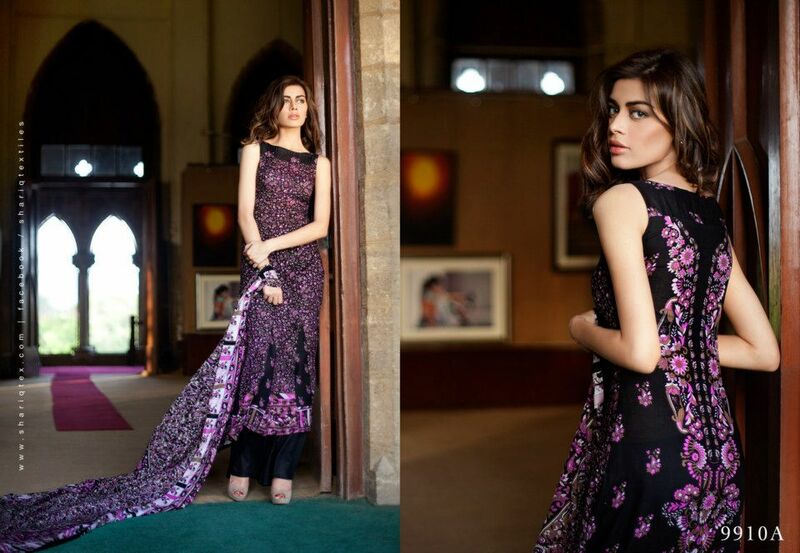 Shirt, shalwar and dupatta fabrics are there in Shariq Textiles Riwaj lawn 2013 volume 3 dresses. The shirt and dupattas are mostly printed while the trouser fabrics are mostly plain. The designs of the lawn dresses in the collection are such that many women will find something suitable for themselves. Overall, Shariq Textiles Riwaj lawn 2013 volume 3 seems like a nice lawn collection with a wide variety of designs.